Sorry to end on a cliffhanger, but I want to start the post today with a different tone. So what is the positive spin on Camera 12 shutting down? The opportunity to create something even better. Over the past few years the theater did seem like it was being poorly maintained. While the ticket cost to see a movie at Camera 12 was less than most other movie theaters, it does take effort for people outside of Downtown to drive in, park, and go see a movie. To make matters even worse, the home movie experience today has become exceptional. For people to go out and see a movie, there needs to be a more compelling reason than 10 years ago--something you cannot get at home. What Downtown really needs right now is a destination movie theater that will appeal to local residents and pull people from around Silicon Valley. It can't just be another Cinemark or AMC, it should be something that goes above and beyond. I think the Camera 12 space would be perfect for a premium movie theater with fewer seats, food, and alcohol. A great example is the Alamo Drafthouse. 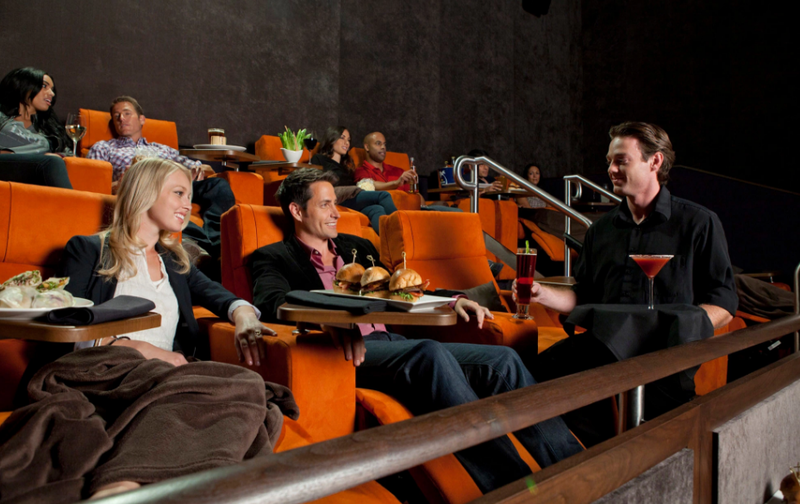 Even better is iPic Theaters where you get reserved leather recliners, blankets, and service in the theater. The multi-level setup allows for even more opportunity to turn this into a premium experience that can cater to multiple audiences. The bottom floor can have nice reserved seats with no food or drink and costs similar to a normal theater. The upper floors can be 21 and over with a full bar and food served at your seat. Fewer seats that are more expensive would make the theater easier to fill, especially with a concept not found anywhere else in Silicon Valley. Right now there are only two premium theaters planned for the area, one in Valley Fair and another all the way in San Mateo. Both are half-measures in malls that won't be of the same caliber as the iPic Theater pictured below. Downtown is the perfect location for a destination movie house that will bring more people to the area instead of solely rely on nearby residents. We need to step up our entertainment game, and the Camera 12 spot is the ultimate anchor location that can help take us to the next level. Both would be great options for downtown! I love Alamo, its the only place I go to see movies anymore. One other option would be Sundance Theatres. They don't have the food service that Alamo or iPic do, but do have reserved seats, and a bar where you can get drinks and take to your seat. We just discovered CineLux Almaden Cafe & Lounge. They have remodeled this theater and now serve beer & wine. 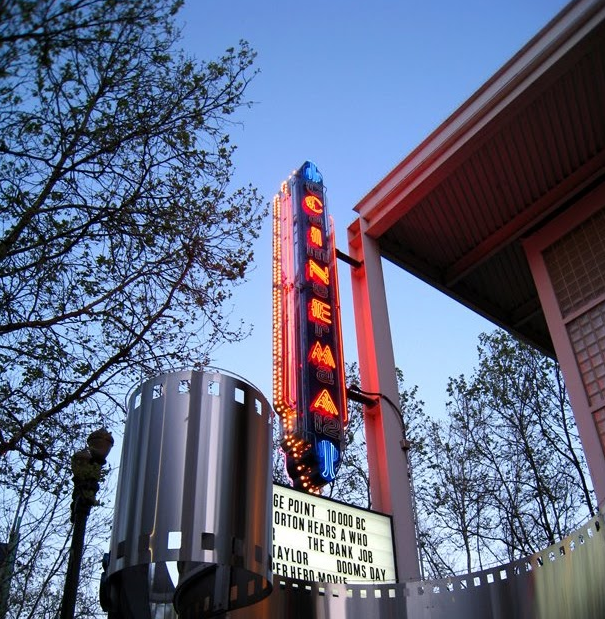 It has quickly become one of our favorite "hidden gem" movie theaters. Let's indeed hope that a luxe-theater concept can raise the capital to make this happen. I'd definitely support it. (I could take or leave the food, but the alcohol is a necessity). The problem really is the rent. Only large chains like Wanda(AMC) or Regal can take the risk, but all you get is higher ticket prices and still no more draw. Gold Class in Australia and Thailand has this, regular showings and gold class showings of similar or boutique films. Sounds a bit like wishful thinking. When I read about the "positive spin" I thought that there might already be a new tenant on board. What I mean by half-measure is that it is not a significant upgrade over a normal theater. They have some VIP seating and a restaurant/bar area. iPic is a better example of something purpose-built to have a better experience. Moolah mentioned above seems like another great example. As for parking, I always have an easier time parking in Downtown San Jose than Valley Fair, and always got the validation for free parking with Camera 12.